The 2020 Mustang Shelby GT500 makes global debut at Detroit Auto Show. On Monday at the Detroit Auto Show, Ford took the wraps off the 2020 Shelby GT500 – the most powerful street-legal Mustang to date. With its 5.2-litre supercharged V8 engine, which produces more than 700 horsepower, Ford’s newest pony car can reach 60mph from 0 in just three and a half seconds, making the 2020 Mustang Shelby GT500 easily the most powerful and fastest ‘Stang to date. As company executive Hermann Salenbauch stated, “With its supercar-level powertrain, the all-new Shelby GT500 takes the sixth-generation Mustang to a performance level once reserved only for exotics,” accomplished by handmaking the engine specially made to keep air intake cool even at full power. The GT500 is the first of its line to benefit from a 7-speed, dual-clutch transmission, the fastest shifting system – “capable of shifts in under 100ms” – ever integrated into a Mustang in the range’s history. This addition optimises the vehicles multitude of drive options including normal, weather, sport, drag and track. 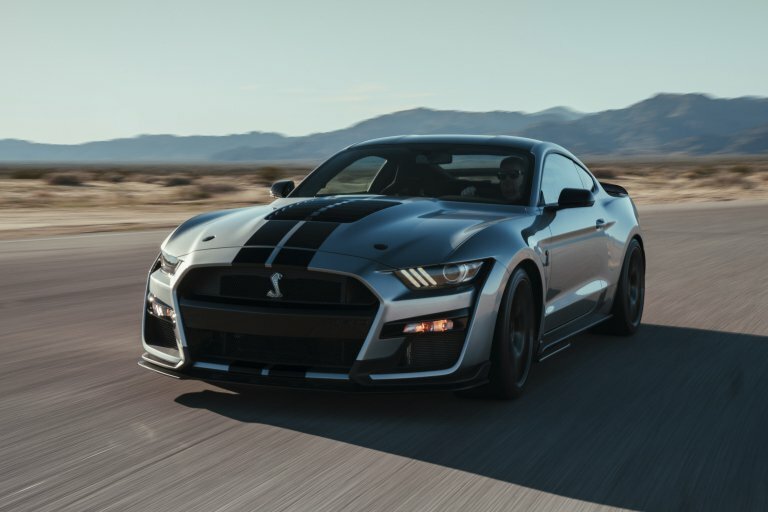 As for the exterior styling, not only is the model more “menacing” than its predecessor the Shelby GT350, but also the redesigned grille, fastback design, and wider stance inspired by modern fighter jets work to give the GT500 greater downforce and aerodynamics than previous generations. The instrument panel is fashioned with an exposed carbon fibre applique and the door inserts with Dark Slate Miko suede just like the GT350. Plus, this generation is outfitted with a 12-inch full-colour LCD instrument panel to ensure the ride is cool and connected. The model will be available beginning this fall in three colours and optional racing stripes. With the GT350 starting just below US$60,000, you can expect the next generation to fall within the same ballpark.